George Bernard Penman (Roy) was born in 1915 and attended George Heriot’s School from 1924 – 1931. He was the son of Mr R Penman, 82 Polwarth Terrace, and was a keen tennis player. He was employed in a stockbroker’s office. 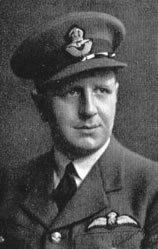 Roy served as a Territorial, and was then commissioned to the Royal Scots; transferring in 1941 to the R.A.F. as a Pilot-Officer, where he met his death in flying operations.